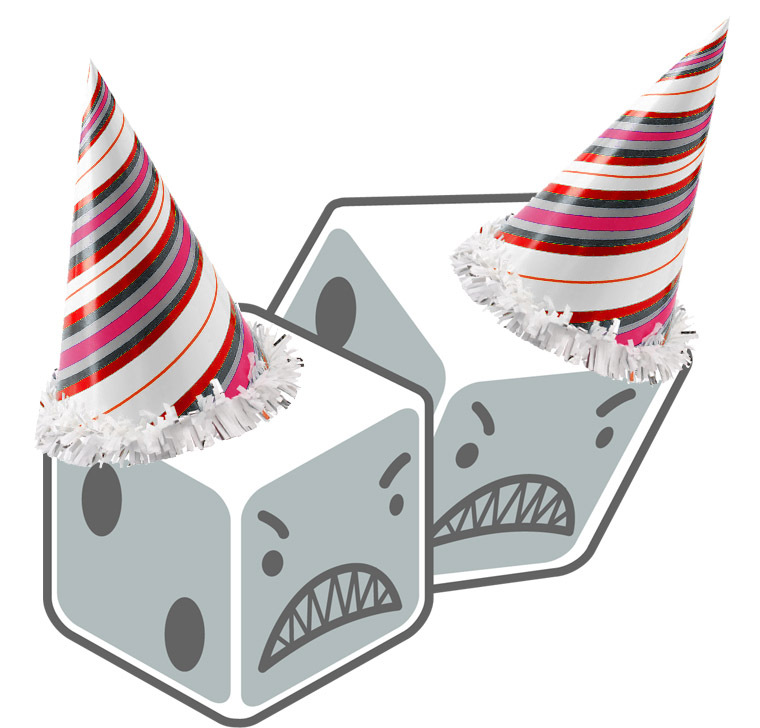 Greetings, dear readers, to a brief celebration in honor of Dice Hate Me’s anniversary! It’s been an amazing, wonderfully awesome year, and we are so thankful to our many supporters, peers, and companies for making it possible to live the Dice Hate Me dream. One year ago today, the first game review was posted – an extremely brief look at Red November from Fantasy Flight Games. Seriously, it was so succinct that many of those first few who read it wondered if it qualified as an actual review! Now, a year later, many of you are probably wishing that the reviews around here were half as short as that first one. For better or worse, my verbosity has increased exponentially, but so has the fervor to bring all of you the best in gaming news, reviews and geeky views. Graphics speak louder than words. 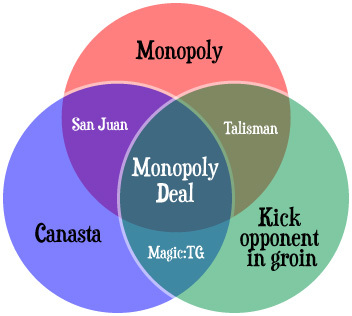 In my review of Monopoly Deal, words could not express everything I wanted to say about this little card-game-that-could, so I tapped into my graphical past and created the ultimate fever chart and Venn diagram that said everything I couldn’t get out in 15+ paragraphs. The Riddle of the Sphinx. 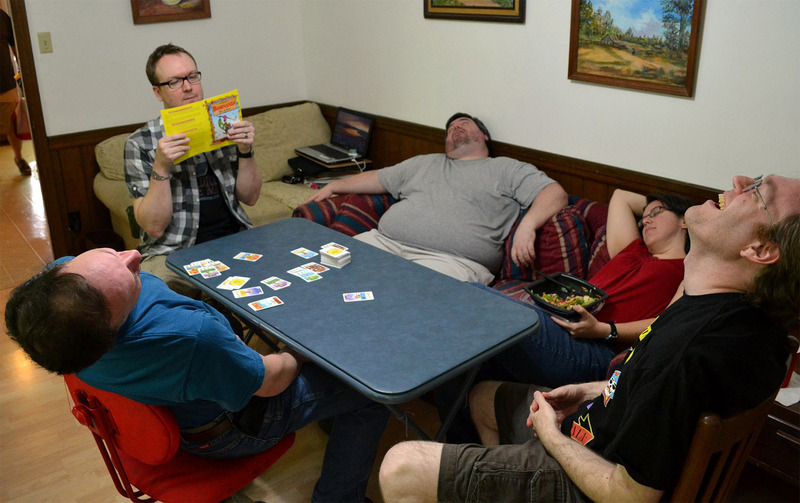 The nicknames “Sally Thinksalot,” “Clover Leaf,” and “The Sphinx” enter the Dice Hate Me lexicon, as I assign likely gamer titles to common gamer types in the 7 Habits of Highly Dysfunctional Boardgamers. Craving the Cold. On Dec. 9, 2010, Twilight Struggle became the top-rated board game on BoardGameGeek. Seven sleepless days later, the Dice Hate Me review of this Cold War brain bender was posted, and I couldn’t have been prouder. A couple months later, this review became one of the first featured by a company (GMT) on their product page to showcase the game. I soon discovered that I could be prouder. 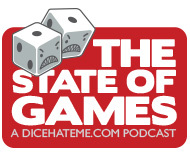 Dice Hate Me Explores New Frontiers. 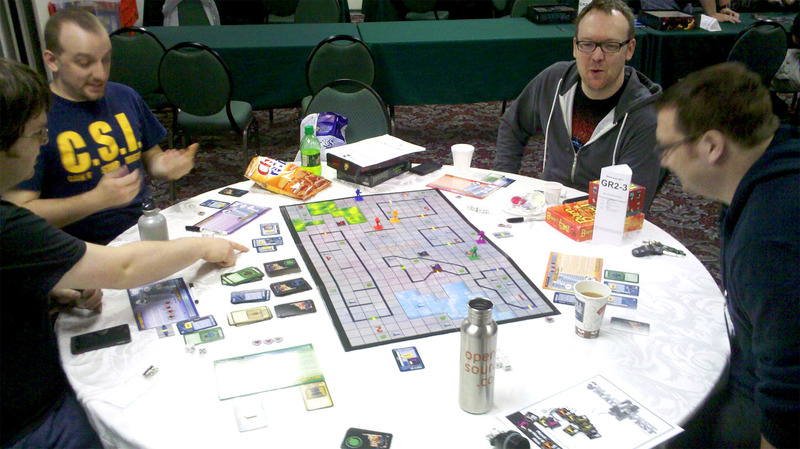 In the first of many of similar articles to come, the interview with W. David MacKenzie and Tory Niemann of Clever Mojo Games – and Alien Frontiers fame – goes live on August 3, 2010. Today, Dice Hate Me proudly continues its coverage of independent publishing, Kickstarter-based projects, and, of course, every single move that Clever Mojo Games makes. Brenden Johnson! 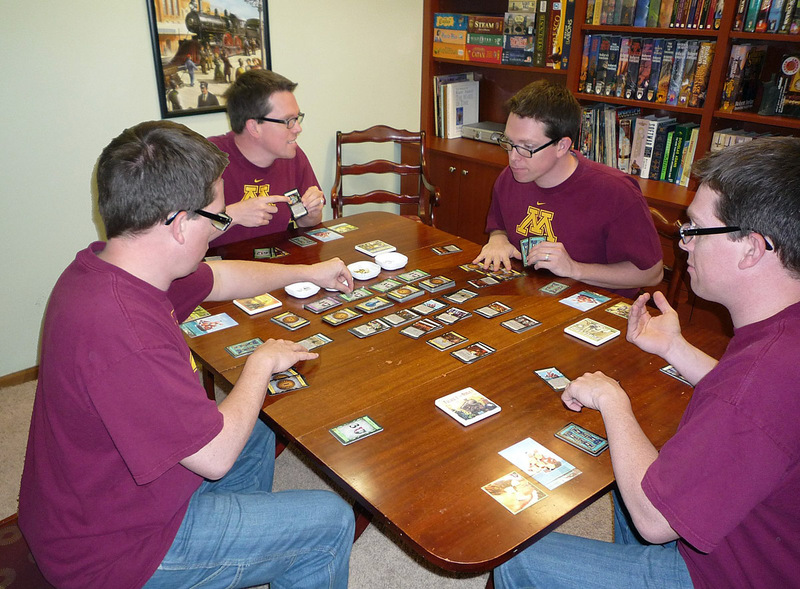 Congratulations, Brenden, for submitting the winning photo – a fitting homage to “multiplayer solitaire” – the topic of our last State of Games podcast. From Brenden: "The far player on the left just played Possession and will be taking over his friend for a turn. The far right player just played Torturer and wants everyone to take a curse. The close player on the right just played Pirate Ship and wants to see what treasures he'll be trashing. The close left player just played embargo and is going to put a token on Provinces." We’d like to thank everyone who entered the contest for sending us some great photos, but most of all we’d like to thank you all for listening and reading. 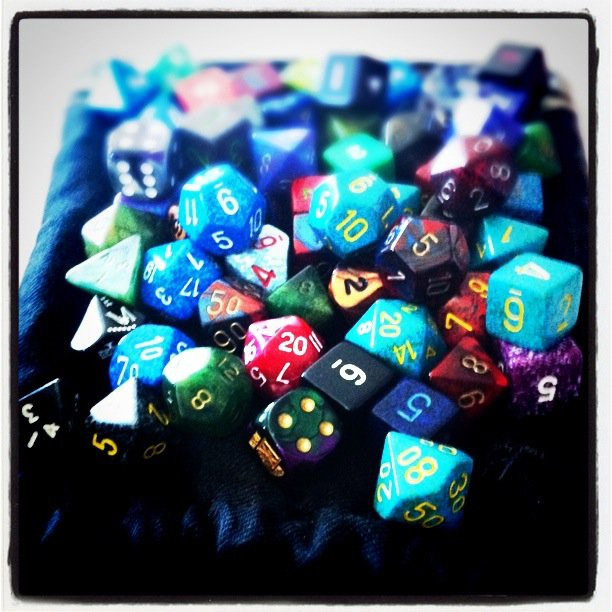 Dice Hate Me – and The State of Games – would not exist without the continued support and input from all of you. We promise great things in the coming year – things which we hope will far surpass what has come before! Before we kick off the next year, we wanted to take a look at some of our favorite photos from the contest. Some of them even include a certain personality from Dice Hate Me! 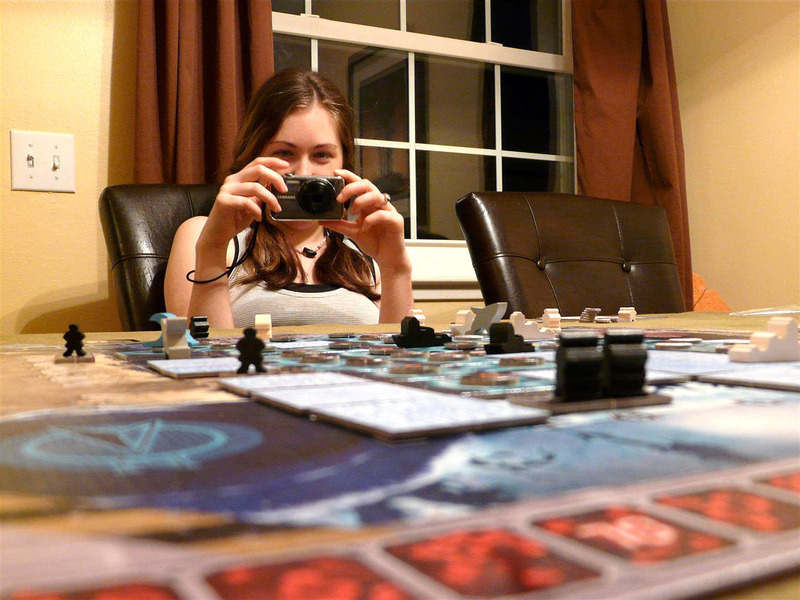 This photo from Ian Noble (of thenoblegamer.com) shows his fiancée, Lisa, documenting her victory. The mischievous eyes say it all. Photo from Dan Casey shows two grognards playing Europa - they played four days and only got about a third of the way through the game! Holy Hannah. This one from Chris Norwood (of gamerchris.com) shows the very handsome proprietor of this very site trying to guide some ungrateful lots through the instructions for Bohnanza. Shawn Ingram went the horror route and tried to give me a heart attack. 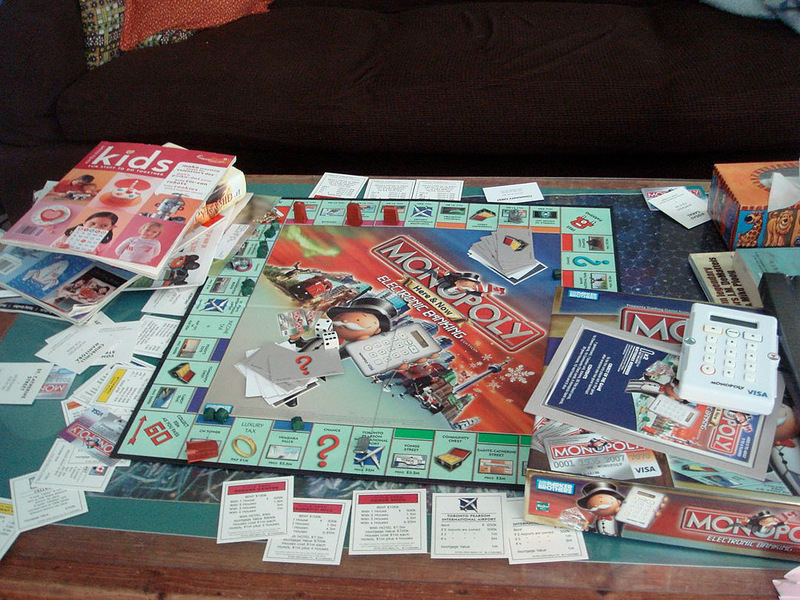 Doc Mabuse shows us week three of his family's attempt at playing Electronic Monopoly - which they refuse to give up so that he can play something different. Gaming hell? You decide! Here we see that Man In Black Scott Suehle has captured me in a moment in Frag when I was describing exactly how much dice hate me. 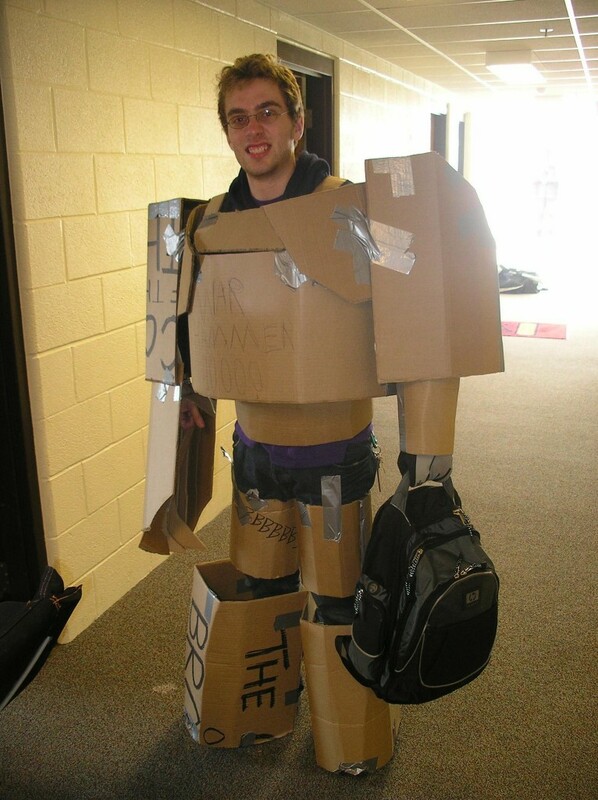 And, last but not least... Wolfie from islaythedragon.com submitted a pic of his homemade Warhammer 40k Space Marine costume - albeit three days late - that made me giggle, so I just had to include it. For even more photos from the contest, check out the Dice Hate Me Facebook page. And if you want to get a picture of yours truly to enter into next year’s anniversary giveaway, I’ll be at the Origins Game Fair for all five days! Look for the guy with the Dice Hate Me shirt on, and ask for a button. Cheers! Awesome!!!!! Congrats on 1 year!!!! May you and Monkey continue to grow the site and keep the podcasts coming! I’m so glad that I and maybe others suggested you use pics for the contest. That is awesome!!!! Happy Birthday Dice Hate Me! I can’t wait to see what is coming up in the next year!! WOW! I can hardly believe it. Thanks so much for the contest, Chris and Monkey! And thanks to Eagle Games for the generous prize. And thanks even more for the wonderful first year and great podcast. Keep up the great work and I can’t wait to see and hear what you have in store for us in the next year (and beyond). Fantastic! Congratulations Chris and Monkey! Much looking forward to many more years of Dice Hate Me! Congratulations on your first year! I found your site after the launch of the podcast and have been hooked ever since. I truly enjoy your thoughtful remarks, reasoned reviews, entertaining dialogue and interesting interviews, not to metion the slick design that packages all this wonderful gaming goodness together. Well done and keep those podcasts coming. Excelsior! Congrats on the milestone! Always good stuff that I very much enjoy reading. Thank you so much, Chris and Monkey, for the amazing podcast, the thoughtful reviews, the stellar site design, awesome photos, and for all the games played together. You guys rock. Here’s to another year of fun! Congratulations guys for the anniversary. Keep up with the good work. Looking forward for this new year of gaming. Saludos y éxitos. “Que todos tus dados sean seis”. Shawn, Tom, Brenden, Alf, Lee, Jim and Michael – Thank you all so much for your wishes and for your support. Monkey and I appreciate it more than you could know! We hope to bring you much more awesome this next year, and if there’s anything you all would like to see (like more of Alf’s games, maybe? heh) please let us know. We couldn’t do this without all of you! Oh, and congrats Brenden! Please email me your address when you get a chance so we can send you your awesome prize. CONGRATS on your anniversary, and THANKS for all the love you’ve given to Clever Mojo Games!!! I’m really looking forward to meeting you at Origins and to sharing some game-time. BTW, if you want to update you’re stalker’s diary, I’m about to get some coffee, drive thru McDonalds for a sausage McMuffin, and head out to my day job. David – Thanks for the congrats! And thanks for being so open with Clever Mojo so we can all know the goodies on the way! By the way, how was your sausage McMuffin? Tell Teresa at the drive-thru thanks for the location update next time you see her. I’ve been enjoying the reviews and the podcast. Aidan – Thanks for the kind words! I’m glad you’ve been reading and listening – and enjoying. Heya- Great Pix. 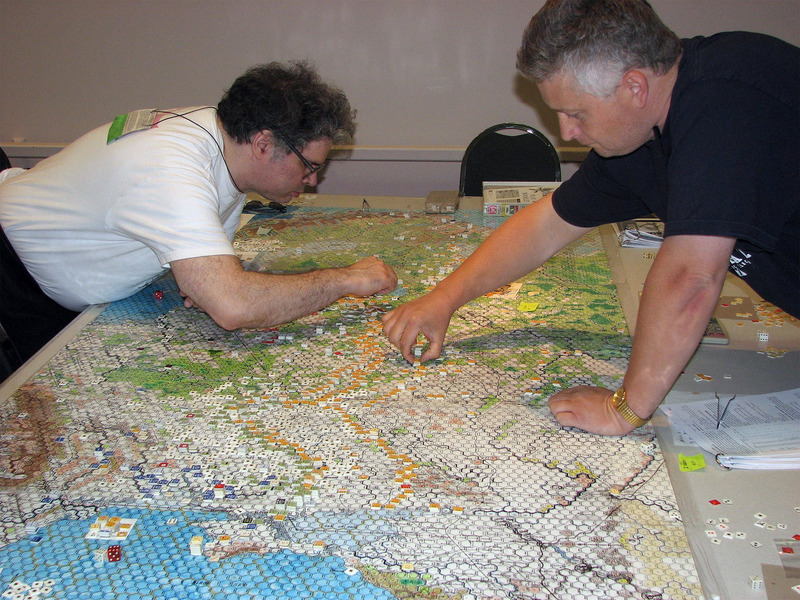 I hate that I missed WBGC but missing gaming with Doc Mabuse is even worse. That guy really knows his way around a ray gun.